URUGUAY. Republica Oriental. Pattern Doblon, 1870. NGC PROOF-62.30 mm; 16.83 gms. Fr-2 (Plate coin). Arms of the Republic in trophy of weapons and banners; Reverse: "LIBRE Y CONSTITUIDA" around laurel and olive wreath enclosing denomination: "1 DOBLON". Bronze and gilt bronze examples exist, and all are patterns of the June 3, 1862 coinage law under which Uruguay adopted the Gold Standard. This legislation created a 10-Peso denomination called the Doblon, named after the much heavier Colonial-era gold 8 Escudos. 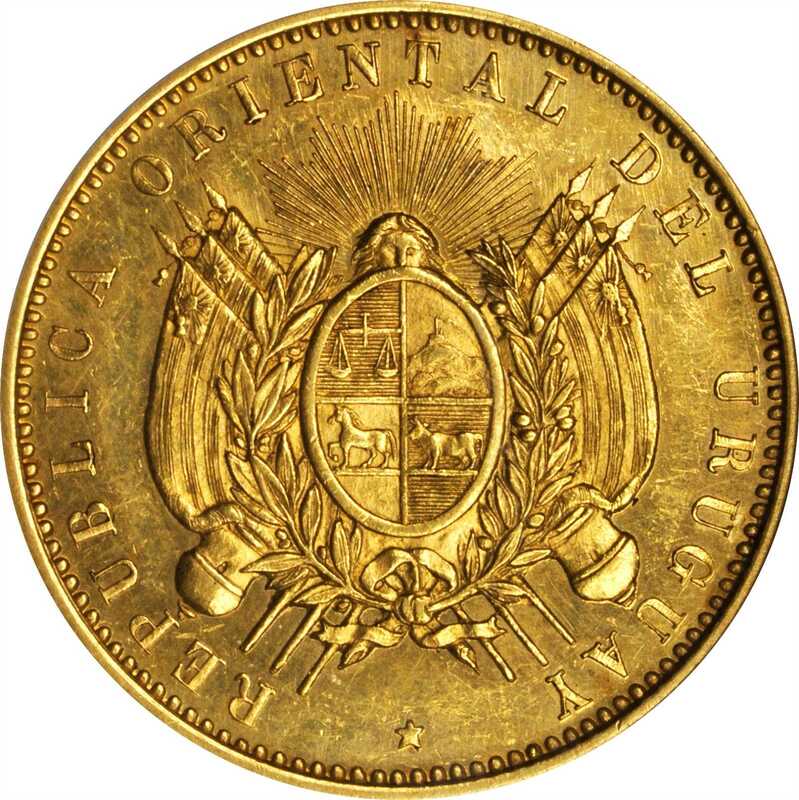 The new Uruguayan Doblon was to weigh 16.87 grams (contrasting with the 27.0674 grams of the earlier type) and fractional gold pattern 5, 2 and 1 Peso coins were also conceived; the latter two of which happened to appear in the Georg F. Ulex Collection sold by Adolph Hess in 1904. 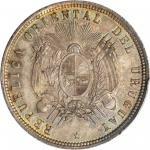 This piece, of far great size and numismatic lure, is one of the truly great Latin American rarities, once realizing a hefty $860 during the depression when it sold as part of Waldo Newcomers collection; the price, obviously unremarkable in modern terms, happened to be the second highest mark in that sale, with a British Columbia $20 just edging it out at $875. Nicer than the assigned PROOF-62 grade might suggest, the design on this piece remains fully crisp and the surfaces retain strong mirror-like reflectivity with only soft handling present here and there. Vibrant orange coloration helps to round out the exceptional presentation. 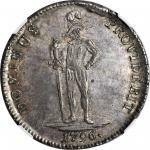 <strong>EXTREMELY RARE</strong>, one of only two thought to exist in private hands, and as such, very possibly a generational opportunity for the advanced collector of Latin American coinage.NGC PROOF-62.